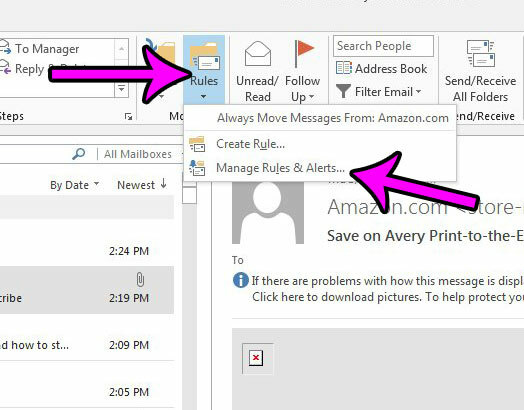 Outlook rules are an effective method for filtering the emails that you receive or send. 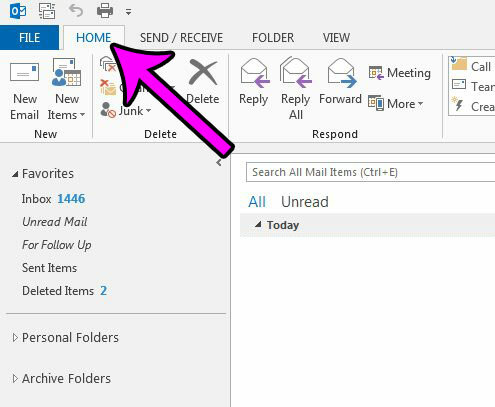 Rather than having to manually go through your inbox to put certain emails into certain folders, you can create a rule that will do all of this sorting for you. But Outlook rules remain in effect indefinitely, and you may find that a filtering method that you previously required is no longer necessary, and that you would like Outlook to resort to the default means of handling the messages that are affected by your rule. 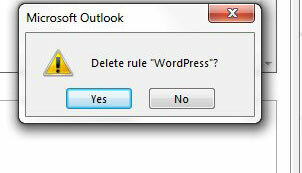 Our article below will walk you through the steps of deleting a rule in Outlook 2013. The steps below were performed in Microsoft Outlook 2013. Once you have completed these steps you will have deleted a rule that is currently active in your installation of Outlook. This means that whatever action was previously occurring due to this rule, will cease to occur for future messages that you send or receive. Step 2: Click the Home tab at the top of the ribbon. 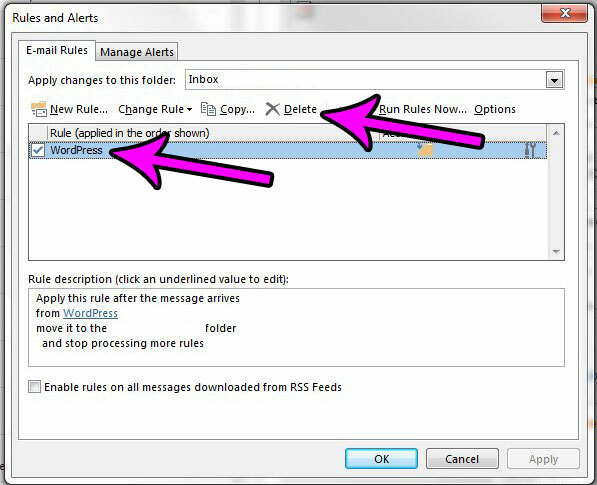 Step 3: Click the Rules button in the Move section of the ribbon, then click the Manage Rules & Alerts button. Step 4: Select the rule that you wish to delete, then click the Delete button at the top of the window. Step 5: Click the Yes button to confirm that you wish to delete this rule. Step 6: Click the Apply button then the OK button at the bottom of the window to close it. Are you getting ready to move to a new computer, or do you want to create a copy of your current Outlook file? Learn how to find your Outlook 2013 PST file in Windows 7 so that you can do whatever you need to do with that file.